I’ve spent the past four weeks preparing for and in trial in Delaware’s Court of Chancery. As evidenced by the absence of any posts in the past several weeks, virtually all of my waking hours have been devoted to the case as we neared the big day at the courthouse. Now that trial has concluded and we switch gears to focus on the impending post-trial briefing and oral argument, I’ve been able to to catch my breath and to reflect. In the employment context, trials are few and far between. 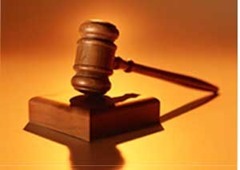 Most cases are dismissed or settled prior to trial. Clients often struggle with the idea of settlement, though, and, at least initially, find the idea difficult to stomach. This automatic bias against settlement is unfortunately, though, as there are can be many good reasons to settle a case-both for the plaintiff and defendant. Good lawyers will discuss those reasons with their clients early in the case in a frank and honest way. And good lawyers will keep an eye on those reasons throughout the case and will not hesitate to remind their clients about them when appropriate. A lawyer who discourages his client from considering settlement is, in my opinion, doing his client a tremendous disservice. Unlike a decision left in the hands of the court or a jury, a negotiated settlement is left in the parties’ control. You agree only to what you are willing to agree and you know exactly what you will get in return. A settlement eliminates the possibility of an unexpected adverse decision. Unlike a court order or jury decision, the terms (and even the existence) of a settlement agreement can be subject to a confidentiality provision. Alternatively, the parties can agree to a limited confidentiality provision. This may be desirable in cases where the employer wants to be able to communicate some limited information about the result to its workforce, for example. Contrary to popular belief, there are plenty of cases in which non-monetary relief is included in the parties’ final settlement agreement. Although money is often a driving force in reaching agreement, readers may be surprised by how many cases involve certain important non-monetary terms. For example, in cases in which the plaintiff-employee alleges wrongful termination, a positive, or even neutral, letter of reference can be an important term. In cases where the plaintiff is still employed, the settlement may include the removal of a disciplinary write-up from the employee’s personnel file. Often times, employers find that the most attractive part of settlement is the ability to put an end to the drain on resources that litigation absolutely involves. Litigation is costly in attorney’s fees and other expenses. But there are other critical costs, too, including the time key decision makers must devote to the case and the general distraction that it causes in the workplace. Every hour spent in depositions and discovery is an hour that cannot be devoted to achieving the organization’s objectives. I’ve never had a client who didn’t take a deep sigh of relief once the case was resolved and they realize they’re able to return to running their business.